This week’s Friday Finds is focused around Nordstrom’s Beauty Sale! There are SO MANY amazing makeup staples that are on sale and they are must-haves for my everyday routine! I wanted to share my Top 5! Also Nordstrom is doing Triple Points! So this is the time to use your card and stack up those points!! So when I saw SO many amazing makeup staples….there are SO MANY. Literally all my favorite makeup is on sale but to narrow it down I wanted to focus on 5 products I think is a great time to pick up. The Anastasia Clear Brow Gel is my go to…I even use this when I don’t do my brows because my crazy brows have a mind of their own and this keeps it into place. I also can not go a day without using my beautyblender. If you have not used one of these before, its a game changer for your makeup. I rarely use a brush anymore for foundation and concealer…just my beautyblender. My Urban Decay Anti-Aging Primer Potion is completely a must have as it makes your eyeshadow go on so much smoother and never creases. Mac Whirl Lip Pencil is my go to lip pencil and goes with every lip combo I wear. This next product is a splurge but I think its completely worth the investment and NOW is the time to snag it on sale!!! 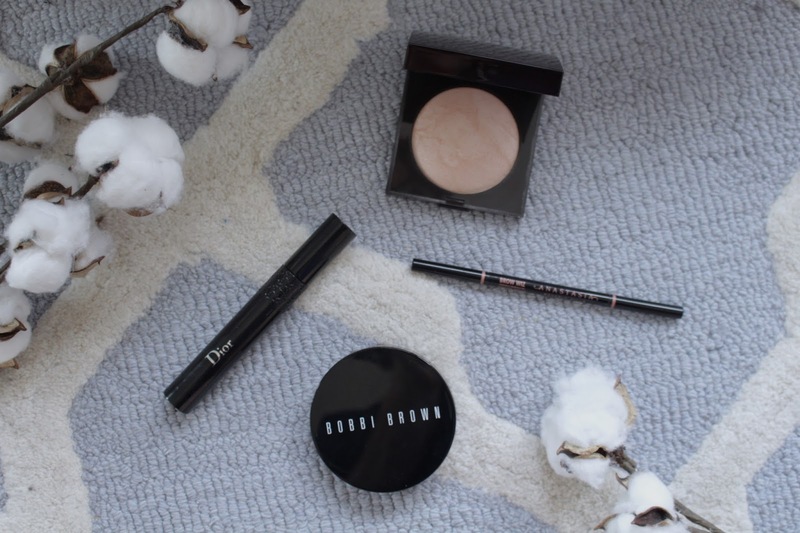 The Bobbi Brown Bronzer brush is the perfect bronzing brush and holds up forever. Lastly, you know this is being purchased by me. My favorite mascara the Dior Overcurl Mascara is perfection that gives me amazing volume and holds a curl to my lashes!